Cette année 2019 s’ouvre avec d’importants défis pour la communauté engagée dans la prévention des atrocités. Alors que la prévention demeure la seule approche durable et efficace pour éviter de terribles situations, qui entrainent d’immenses coûts humains, écologiques, sociaux et économiques, l’exercice de la prévention sur le terrain est encore trop largement méconnu, balbutiant et disparate. La bonne nouvelle, c’est que de nombreux acteurs développent des initiatives locales et régionales très importantes, dont l’impact est considérable, en matière de prévention. Toutefois, ces initiatives ne sont souvent pas abordées dans une vision globale de prévention, ce qui diminue souvent leur impact. Une des tâches que la communauté plurielle et diverse de la prévention des atrocités GAAMAC peut donc se donner en 2019, est de tisser les liens avec ce réseau multidisciplinaire, afin de recueillir leur savoir et leçons apprises. L’autre tâche est d’encourager chacun de ces acteurs à « mettre les lunettes de la prévention ou à penser prévention globale » pour améliorer leur impact sur le terrain et renforcer la communauté globale de prévention des atrocités. This is an important challenge for each and all of us; we can decide to considerably improve our ways of working together towards our common goals during 2019. For example, at the multilateral level, the international community certainly needs to overcome its differences. Strengthening the ownership and commitment of states and civil society directly involved in such efforts, as well as drawing the lessons learned from their struggles and successes, would undoubtedly have an important impact on the ongoing debates at the United Nations and other global and regional fora. For example, numerous societies are dealing with their own legacy of atrocities; we can learn a lot from these processes in terms of prevention. For this to happen, it is important to give a voice to these actors - states and civil society - that can in turn help the international community to capitalize on their good practices and learn from concrete processes on the ground. In some regions, such as in Europe, we must unite efforts against racism, hate speech and aggressive, populist and divisive discourses through strengthening the rule of law, legal frameworks, migration policies and the protection of minorities. Furthermore, adopting an atrocity prevention lens to the implementation of the Sustainable Development Goals can help ensure that each goal develops its full prevention potential and makes a difference on the ground. 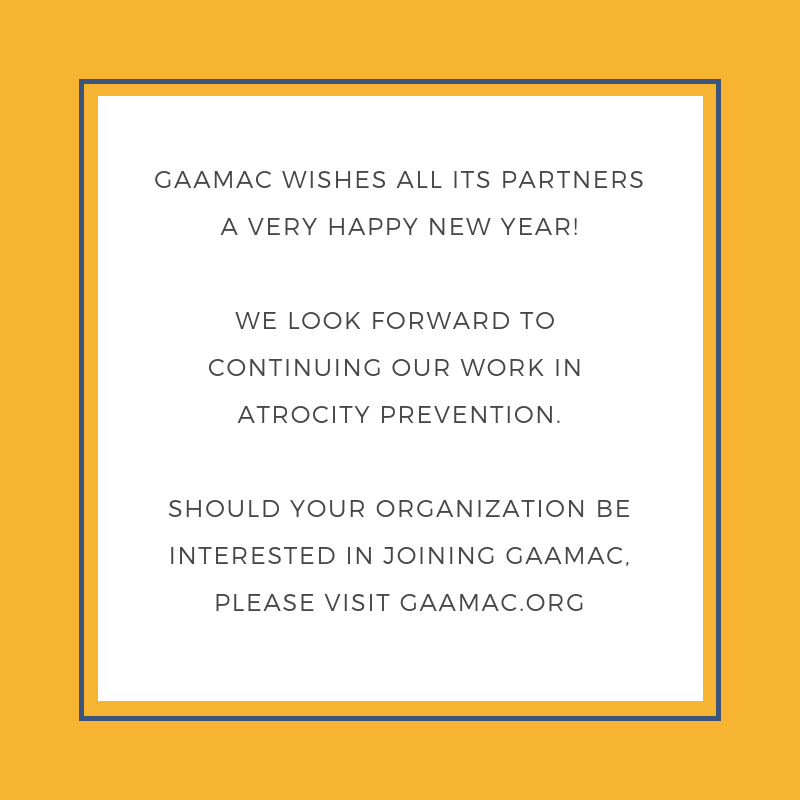 For 2019, I can only hope that GAAMAC, this extraordinary community of commitment, can make atrocity prevention a reality through these concrete efforts. We can do it because it is needed, and because together we can make a difference! We look forward to working together to prevent atrocities! 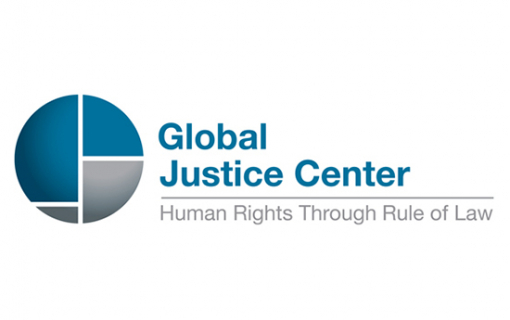 The Global Justice Center (GJC, United States) is an international human rights organization dedicated to building a world based on the universal enforcement of international law, including human rights and gender equality guarantees, to ensure sustainable justice, peace, and security for all people. 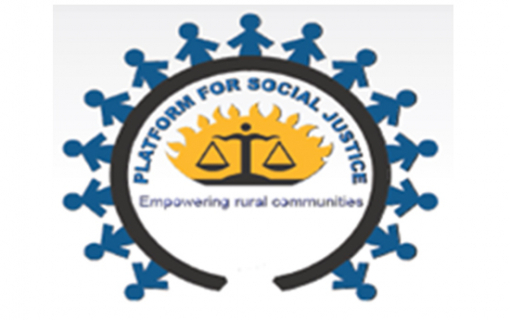 Platform for Social Justice (PSJ, Uganda) is an independent non-governmental human rights organization that works to promote justice for marginalized persons and sustainable economic justice in rural areas in Uganda. 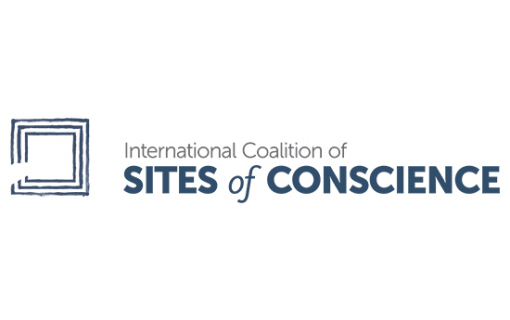 The International Coalition of Sites of Conscience (ICSC) is a worldwide network of “Sites of Conscience” – historic sites, museums, and memory initiatives – that activate the power of places of memory to engage the public with a deeper understanding of the past and inspire action to shape a just future. 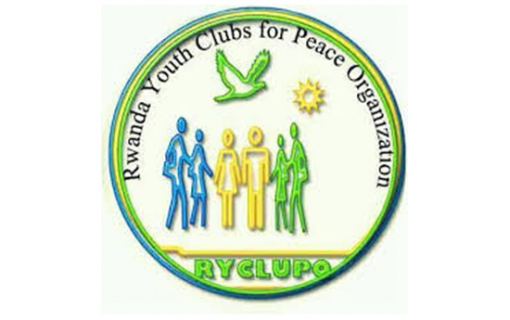 Rwanda Youth Clubs for Peace Organization (Rwanda) is a local non-profit peacebuilding organization founded by committed teachers dedicated to sustainable peace and conflict transformation at the grassroots level. It empowers youth volunteers to promote peace and tolerant communities through responsible citizenship. In March 2018, the Harvard FXB Center for Health and Human Rights conducted a rapid needs assessment in Bangladesh to assess the needs of the Rohingya population and to understand the impact of their presence on host communities. The report details recommendations in the fields of education, assistance, health, water and food, shelter and protection. 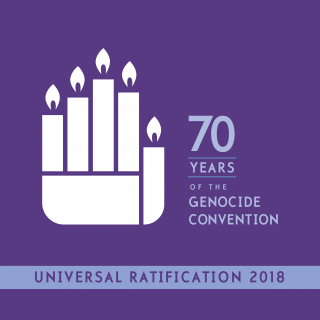 In 2019, the United Nations Office on Genocide Prevention and the Responsibility to Protect continues to implement the Plan of Action for Religious Leaders. After a workshop organized in June 2018 in Dhaka on the role of religious leaders and actors in Bangladesh to foster peaceful and inclusive societies, a follow-up meeting with religious leaders and actors from Cox Bazar will take place in the first quarter of 2019. 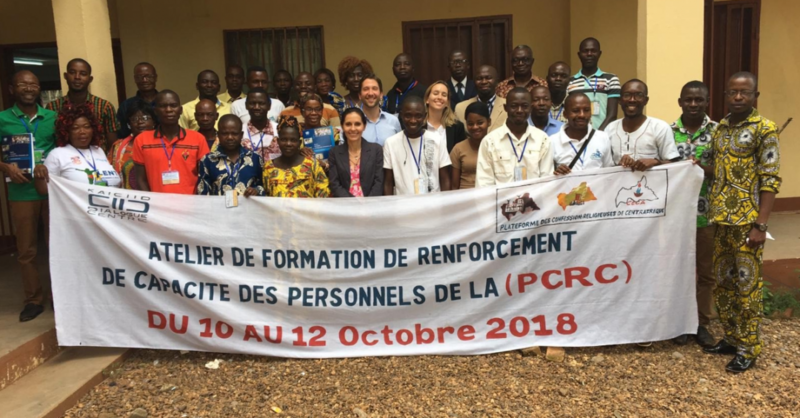 In October 2018, the Office organized a workshop for media practitioners on preventing religious and ethnic hatred and incitement to violence in the Central African Republic. The workshop resulted in the establishment of a committee for the prevention of incitement to violence. Youth Association for Development (YAD) has begun to implement its project on Youth-led Initiatives on Women, Peace and Security. As part of this grant, YAD mobilizes youth groups to run advocacy and awareness-raising campaigns in Quetta, Pakistan, to educate the public on the women, peace and security agenda and the particular impact of conflict on women. M. Kyle Matthews, le Directeur exécutif de la Montreal Institute for Genocide and Human Rights Studies (MIGS) a publié un article dans The Conversation sur la responsabilité du Canada de poursuivre les anciens combattants de l’État islamique en Irak et en Syrie (EI). 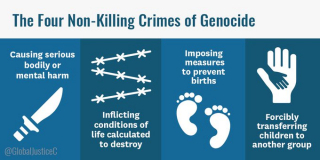 The Global Justice Center has released the first comprehensive legal analysis of the gender-based crime of genocide in the report Beyond Killing: Gender, Genocide, and Obligations Under International Law. The report highlights the central role of gender in the planning and commission of genocide and the role it must play in efforts to preventing and punishing the crime. UN Secretary-General António Guterres has appointed Ms. Karen Smith of South Africa as his Special Adviser on the Responsibility to Protect. She succeeds Mr. Ivan Šimonović, who left his post in 2018. Read here GAAMAC’s interview with Mr. Šimonović, one of our most popular posts of 2018! On 10 December, the UN Security Council held an Arria-formula meeting on the topic of “Raising the effectiveness of atrocity crimes prevention: role of the United Nations Security Council and its Members”. Arria-formula meetings are informal, confidential gatherings. The meeting was organized by the Permanent Mission of Poland, in partnership with Belgium, Côte d’Ivoire, Germany, Kuwait and Peru. It gathered over 120 attendees, including representatives of all current and incoming Security Council members. The meeting provided an unprecedented opportunity to discuss recent achievements in international law, as well as legal and political responsibilities of states concerning the prevention and punishment of atrocities. 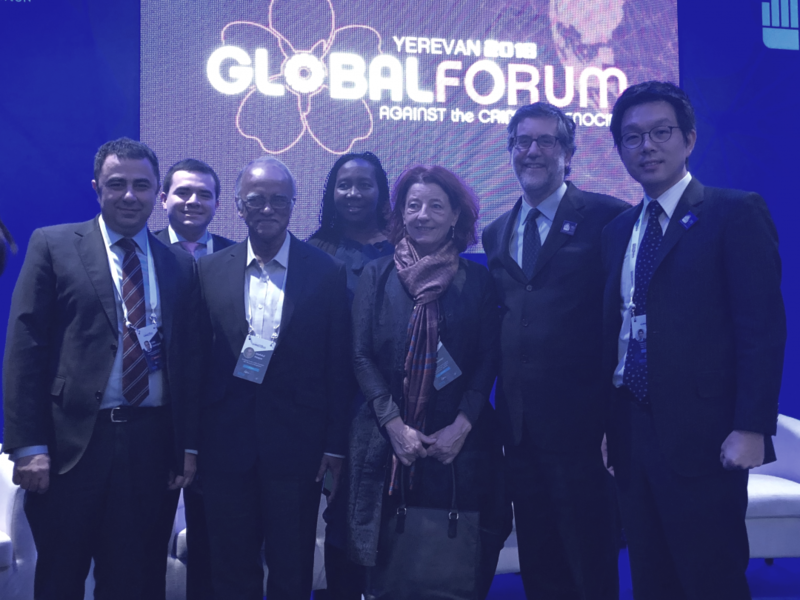 Armenia hosted the Third Global Forum Against the Crime of Genocide from 9 to 11 December 2018 in Yerevan. The Forum aimed at examining the challenges, opportunities, experiences and perspectives of genocide education. The Forum was officially opened by high-level speakers including Armenia’s Minister of Foreign Affairs H.E. Mr. Zohrab Mnatsakanyan, UN Special Adviser on the Prevention of Genocide Mr. Adama Dieng, and GAAMAC Chair Ms. Mô Bleeker. Ms. Bleeker introduced GAAMAC, which was formed “with the view to overcome crucial gaps between the many discourses, existing norms and standards, and the lack of effective action in the field of atrocity prevention”.